Backup cameras are becoming more essential to drivers everyday. There are approximately 15,000 injuries and 240 deaths annually from backup accidents. Most victims from these accidents are toddlers 1-2 years old and happen in a residential driveway. Every vehicle has a blind spot when backing up. 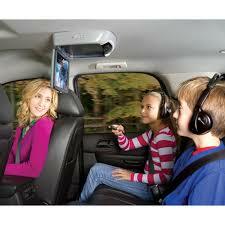 Cars have a blind spot up to 15 feet while SUV’s and trucks have a blind spot up to 25 feet. Shorter drivers have an even greater blind spot. 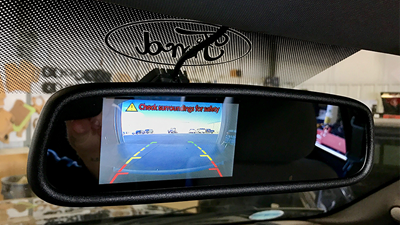 A professionally installed backup camera from Cooper Tint & Electronics will keep blind spots visible while backing up, help protect your family, and protect the investment you have made in your vehicle. Check out our back up cameras page for all the information about the products we carry and install! 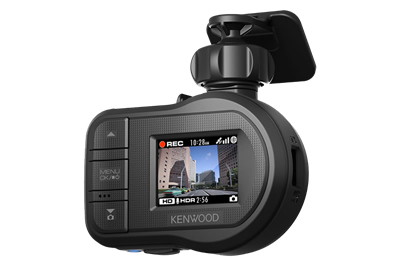 Check out our dash cameras page for all the information on the products we install and carry! Our entertainment systems are delivering more choices in device connectivity, more capability to enhance entertainment and more value than ever before. Our headrest and overhead DVD systems incorporate certified HDMI/MHL inputs that give the user direct connection to any HDMI/MHL enabled devices: smartphones, tablets, and even some smart TV devices. This provides delivery of high-definition video and audio content without losing the use of the tried and true DVD. That’s smart, and it makes the entertainment possibilities endless. Complying to rigid OE standards, the systems we install have style, sophistication and are truly vehicle-specific. Color, material, grain pattern, stitching, piping – all custom tailored. Headrest bun shapes and assemblies are designed to match factory headrests. Solid frame construction ensures stability; posts are notched to factory specs. Variety of flexible configurations fiat all needs and budgets – Dual DVD, Single DVD/Single Monitor, Dual Monitors, etc. 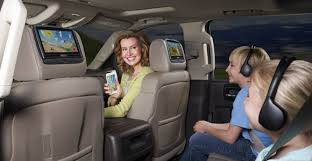 We know how important it is to keep back-seat passengers entertained on short trips and long trips. Our systems achieve that and keep your vehicle looking as factory as possible while giving you all the benefits.